Home / Books / Looking for the best vintage shops online? Looking for the best vintage shops online? The fabulous Sammy of Sammy Davis Vintage has released her long-awaited e-book: The 100 Best Vintage Shops Online. I got my copy yesterday and I’m a overwhelmed with how good it is! It’s an absolute MUST for any vintage enthusiast. 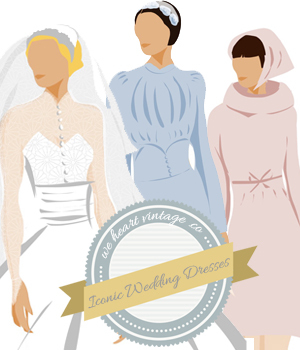 For the vintage novice it gives you great reasons why you would want to wear vintage, as well as ideas about how to start adding vintage fashions to your wardrobe, what to shop for and what you need to know. And, of course, the main part of the book is dedicated to sharing great places to do your vintage shopping online. Sammy goes through the 100 best online vintage shops and has split them into the best overall vintage sellers on Etsy, Ebay and independent online stores, and she showcases each one with detailed information and beautiful photos. There are also special sections on vintage jewelry, hats, bags, designer, bridal, shoes and pre-1930s stores (not to mention mid-century vintage, style steals and 80s & 90s specialists). It’s a true cornucopia of vintage knowledge! I really can’t recommend this book highly enough. I consider myself to be quite a vintage expert but I’ve discovered so many fantastic new places to find unique and exciting vintage, I just need to find the money to buy it all now! I’m not really a fan of e-books (I’m a bit of a stationary-geek and I like the feel and smell of a proper paper book) but The 100 Best Vintage Shops Online actually works better online, as it links directly through to the stores. Having said that I’d very much like to see a nice glossy paper version of this book too, hopefully that will be the next step! Oh, and I almost forgot to say, We Heart Vintage has been included in the Style Inspiration section at the back of the book, which is amazing, thank you Sammy!